Welcome to the blog tour for Pam Halter’s new fantasy, Fairyeater. I got a sneak behind-the-scenes peek at the central conflict of this fabulous tale from the author herself. Figuring out how to destroy Riss’aird was difficult. I didn’t want to be cheesy. I didn’t want my readers to think I had copied from another story. I wanted to be original. As a Christian, I believe praise to the Living God drives away many unwanted things, including the enemy, so I wondered how I could use that in Fairyeater. How could I utilize the elements? What if there were something fairies need to remain healthy in their faith and their magic? I came up with Fountains ~ one for each element. And they each have fairies who come to them each sunrise to offer praise to Celtar (God) and to bless them. Earth fountain is a fountain of swirling sand. Water fountain is a fountain of water. Fire fountain is a fountain of fire. Air fountain is invisible. It moves from place to place, therefore, making it hardest to find. There is a map showing the location of each Fountain except for the Air Fountain. It is this map Tzmet gets her hands on. She is determined to poison each Fountain. When Tzmet uses the cape of fairywings to poison the earth fountain, it becomes tainted and the earth fairies are unknowingly sowing evil into the ground which allows Riss’aird to regenerate. How do the Fountains destroy Riss’aird? When the four pieces of the Fairystone are complete and joined with the Guardian, the Fountains come together and form the Fairysong – pure praise to Celtar from not only the very the elements, but also from every soul that loves Him. When the Fairysong is formed, it creates the wave of praise, capable of destroying the evil it is called up for. Here’s a piece of the story where Akeela brings forth the Fairysong. I had goosebumps writing it. The moons drifted away from the sun and the sunlight struck the Fairystone in Akeela’s hand. Her body jerked and became taut. The far off song she heard swelled and grew louder. Then the Fairystone came to life. All the auras Akeela could see grew as bright as the sun. She could hear every heartbeat of every fairy pounding in her ears. The song became recognizable; a song of praise to Celtar, ringing from the souls of every fairy and person who believed. A startling, fresh joy Akeela never experienced before pulsed through her and she could feel her soul joining in song with the others. The song grew and became a wave. It emanated from Akeela and rushed toward Riss’aird. He shrieked and turned, but it crashed over him, enveloping him. Without warning, he disintegrated. His ashes floated for a moment before the air fairies whirled around them, sending them up and away. I wish I could show you the picture in my mind when I wrote this. With all the amazing special effects today, I imagine this scene in vivid color whenever I read it. I also imagine the future, where all believers will be together forever, praising God. It gives my heart a little leap. A secret that the witch, Tzmet, hunts for night and day, drying and eating fairies for the power they contain. When Akeela discovers her fate lies in being the next Fairy Guardian, all hope for an ordinary life dissipates like the dreams they were. She must protect the fairies from the witch—and an even darker power that threatens them all. 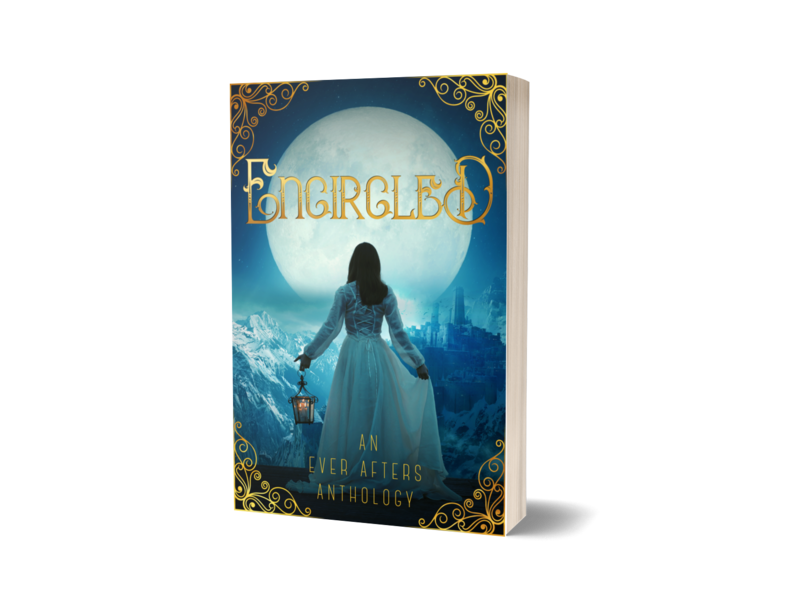 Akeela is unwillingly thrust into an adventure that will not end until she decides to accept her fate and give up on her dream. Wow! Thanks, Pam. This sounds amazing. Can’t wait to read it! Don’t forget to attend the Facebook party celebrating the release of Fairyeater. There will be a heap of giveaways and a chance to learn more about this fabulous author! Pam Halter has been a children’s book author since 1995. The first book in her Willoughby and Friends series, Willoughby and the Terribly Itchy Itch, won the 2018 Realm Award in the children’s category, and she also received a Reader’s Choice Award in 2015 for her short story, “Tick Tock,” in Realmscapes. Fairyeater is her first fantasy novel. She lives in South Jersey, deep in farmland, and enjoys long walks on country roads where she discovers fairy homes, emerging dragons, and trees eating wood gnomes. And you can follow purchase links to Fairyeater here!